Welcome to reVibe! 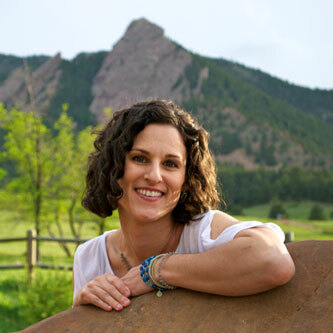 My name is Lisa Goodman—native of upstate New York, long-time dweller of Boston, and current resident of Boulder, Colorado, the happiest place to live, according to CBS news, and one of the "greenest" places to live in the country. It's no wonder I was inspired to launch a small, green business of my own. I'm often asked where I got the idea to make upcycled guitar string jewelry. Well, like most questions, I don't have a simple answer. In fact, in a chicken/egg scenario, it was actually the COIL that came before the guitar strings. When taking a look at my pieces, you'll notice I utilize coiled guitar strings in many of the designs. Why a coil? Well, initially, I was trying to replicate the spiral binding of a notebook (an odd pursuit, you say?). Several years ago, I was cleaning out my desk and, in order to recycle the paper in some notebooks, I had to first remove the spiral binding. Of course, once I recycled the paper, I was left with what appeared to be a useless metal coil... or was it? Never underestimate the power of creativity. I took that coil, tacked it to my bedroom wall, and used it as a jewelry hanger—earrings, necklaces, it was perfect! However, in order to reproduce such an item, I'd have to find access to quite a lot of notebooks... Soon after, I moved across the country to Boulder, where my brother just so happened to own a music store. One night it struck me... guitar strings are wire, and wire can be coiled! I eventually did figure out how to coil the strings (no simple task, as guitar strings can be stubborn), and discovered the many possibilities beyond a simple coiled jewelry hanger. So that is the long, convoluted story of reVibe. I hope you like my creations!